In this three-part article, Richard Boyle documents the life of Mike Wilson (Swami Siva Kalki) 1934-1995,who among other things made a significant contribution to the Sinhala film industry, and pioneered underwater exploration around the island. Being the second anniversary of the death of Mike Wilson (Swami Siva Kalki), as well as the golden jubilee of the Sinhala film industry, the time seems right to look back on the life of this remarkable man. 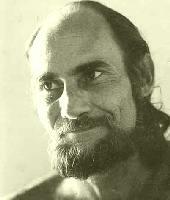 While the name Mike Wilson is familiar mainly to a certain generation of cinema-goers in Sri Lanka as the director of films such as Ran Muthu Duwa, others know of him as the diver who recovered the lingam associated with the Konesar temple, and silver treasure from a wreck on the Great Basses. Some know of him as the Swami who championed Kataragama; some as the man who was claimed to be responsible for wrecking Satyajit Ray's science fiction film project, The Alien. Ranmuthu Duwa, the film in which Mike Wilson made his debut as a feature director also launched the career of Gamini Fonseka. And its compelling songs by Mahagama Sekera and W.D. Amaradeva are still played on the radio. "I have never grown tired", enthuses Arthur C. Clarke, "of watching the scenes of dawn over the great temples, the sea-washed cliffs of Trincomalee, the lines of pilgrims descending Adam's Peak, and the mysterious underwater sequences. For a first attempt at professional movie-making, it was an outstanding effort." The feature film industry in Ceylon was in its infancy at the time, and Wilson's contribution to the development of the industry - especially in the context of his being a Westerner - was considerable. It was not until 1956 that the country produced a film worthy of attention. This was when Lester James Peries from the Government Film Unit to make Rekawa, a film deemed good enough to be shown at the Cannes Festival. "During the past few years", wrote Quinn Curtiss in the New York Herald Tribune of 27 July 1973, "other directors have produced fine films, among them Titus Totawatte, Gamini Fonseka, Siri Gunasinghe, Herbert Seneviratne, and Mike Wilson." Wilson's contribution to the Sinhala feature film industry extended beyond his own directorial efforts, for he actively encouraged other aspiring directors to make movies under the banner of his company, Serendib Productions. One such film - a favourite of Wilson's - was Saravita scripted by K.A.W. Perera and starring Joe Abeywickrema. 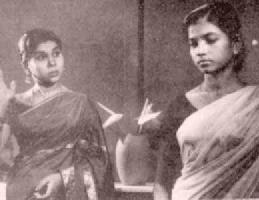 This delightful film was directed by Tissa Liyanasuriya, who had started as an assistant under Wilson and went on to become a prominent figure in the industry. 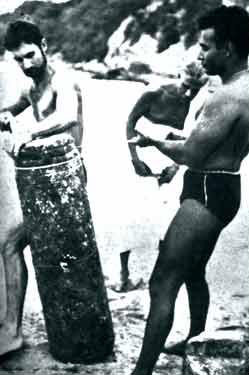 It was while filming Ran Muthu Duwa in 1962 that Wilson made an important maritime archaeological discovery that was to have a profound personal effect on his life. 'Discovery is very much a mental event, rather than a mere physical awareness of any given thing that one comes across', he used to assert. 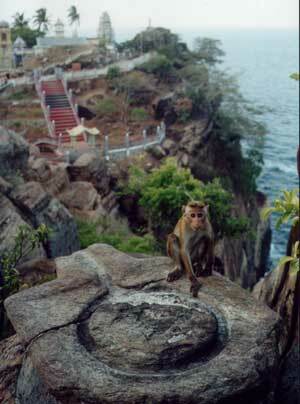 This peak experience occurred in the sea around Swami Rock at Trincomalee. When Jonklaas and Wilson had dived at this spot in 1956, the Brahmin had requested them to keep a special eye open for the lingam associated with the Koneswaram Temple. Mike Wilson and Gamini Fonseka recover the swayambhu lingam in 1962. 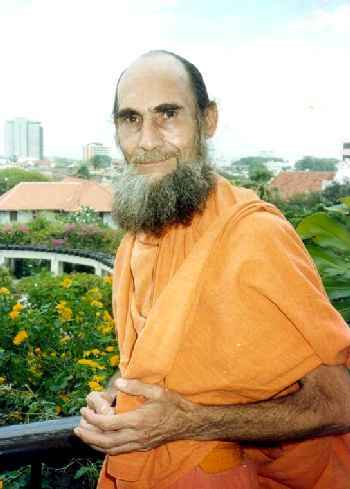 Having delivered the lingam to the Konesar Temple where it was enshrined and has been worshipped ever since, Wilson returned to Colombo and made straight for the Museum Library. The librarian there produced two prime reference sources from which Wilson learnt of a special classification of linga, the Swayambhuwa, which are mounted on pedestals of natural stone. Of the 69 Swayambhuwa said to have been located in the Indian sub-continent, only a few still exist, such as the one at Swayambhuath in Nepal. Wilson was convinced that the lingam and its pedestal recovered at Trincomalee was one of the original 69.  He suspected that being seated alone in the presence of thet Swayambhuva formed part of a ritual. He had done so, and he said of the experience, 'One is aware of its enormous antiquity. And one's mind is able to soar back to the distant past and "see" all those who have sat there before'. Wilson was enthusiastic about not only diving but all water sports, especially surfing, water-skiing and racing boats of every variety. Indeed one of his favourite occupations was racing his hydroplane Pegasus at breakneck speed across the Bolgoda Lake. It was apt then that Wilson forsook underwater for the surface with his second feature Getawarayo, which Clarke describes as 'a sort of "Wild-Ones-on-Water", with a climax out of Ben Hur, but involving hydroplanes instead of chariots." In 1966 Wilson started his third and possibly wackiest feature, Jamis Banda, which, as Clarke describes, 'pitted Hitler's illegitimate son against Sinhalese secret agent Jamis Banda. It had its good moments but the best was off-screen. Before Wilson had completed the post-production of Jamis Banda, Clarke told him of an idea Satyajit Ray had for a vedic science fiction film. Wilson was intrigued by the idea and interested in raising international finance for the project, so he wrote inviting Ray to come to Colombo to discuss matters. Ray was too busy to leave Calcutta, and instead invited Wilson to come there, which he did. Over a period of a fortnight, Wilson waited while Ray wrote a first draft screenplay. Wilson then sprung into action, setting up a meeting for Ray with Peter Sellers in Paris, and a few months later with Columbia Pictures in Hollywood, who were keen to back the film. Stupidly, however, Wilson copyrighted the script in his name as well as Ray's, an action that sowed the seeds of mistrust in the mind of the director. The project was transferred to Columbia Pictures in London, to where Ray and Wilson subsequently travelled to try to clinch the deal. This trip ended disastrously, though, with Ray his mistrust fanned by Columbia executives eager to ease Wilson out of the project. For Ray the final blow came when Sellers announced his withdrawal, because he felt his role was not developed enough. Later Wilson was persuaded to relinquish the copyright, and Columbia and others encouraged Ray to take up the project once again. This he never did, instead preferring to blame Wilson for the fact that the film remained unmade. The history of cinema is punctuated by a number of great 'might-have-beens', such as Sergei Eisenstein's Que Viva Mexico! There is little doubt that The Alien falls into this category. The story behind it is a fascinating one - one I have attempted to piece together in my forthcoming book, The Wrecking: The story of Satyajit Ray's ill-fated science-fiction fllm project, The Alien.